NEW MADISON – A girl has been airlifted by CareFlight after suffering injuries from being kicked by a horse. 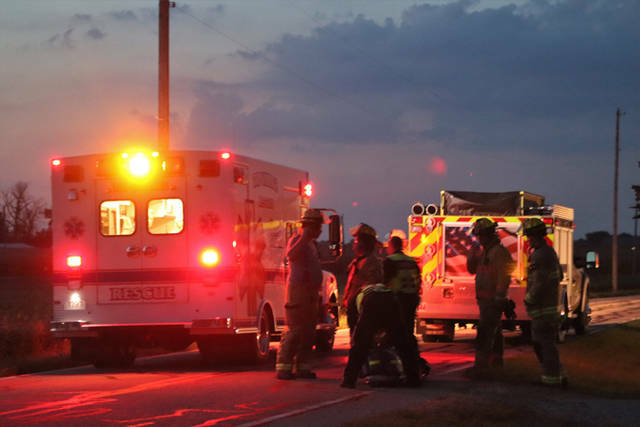 At approximately 8:10 p.m. Tuesday, emergency personnel from New Madison Fire Department and Tri-Village Rescue were dispatched to 1071 Preble County Butler Township Road in regards to a young female, located in a field at the address, who had been kicked by a horse. Upon arrival, Tri-Village Rescue requested CareFlight to the scene along with New Madison Fire Department to establish a landing zone. 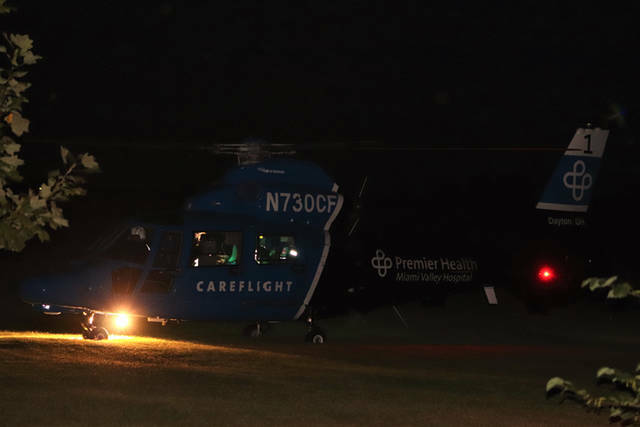 According to emergency personnel on the scene, the girl was kicked by a horse and suffered injuries to the head and neck, requiring her to be treated by Tri-Village Rescue before being transported to Miami Valley Hospital by CareFlight. The extent of her injuries and her condition are unknown at this time. This entry was tagged Careflight, horse, Miami Valley Hospital, New Madison, New Madison Fire Department, Tri-Village Rescue. Bookmark the permalink.